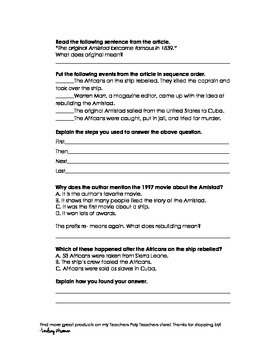 This common core aligned, guided reading packet prompts students to identify, analyze, and apply sequence in a variety of ways. 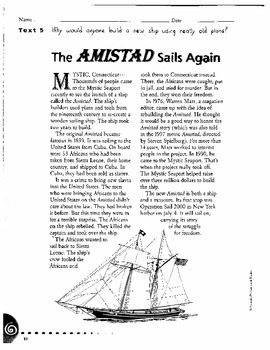 The needed nonfiction reading material, The Amistad Sails Again, was accessed through Scholastic and is included in the attached PDF for your convenience. 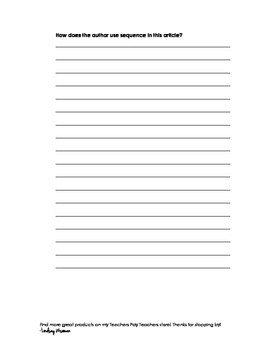 The payment, however, is for my labor in generating a valuable guided reading experience.